This is a question that has been on the mind of many South Africans in recent weeks. President Cyril Ramaphosa has formally announced the intention of the ruling party to change the constitution in order for them to proceed with expropriation without compensation. This took the panic that had been brewing for some time to new heights. Although it is predominantly white farmers that have the most cause for concern, all South African’s should be concerned as it affects everyone. This is clear from the dramatically plummeting rand and the knock-on effect this has, especially to petrol prices. We have all seen the results of such action in our neighbors Zimbabwe and more recently, the hyperinflation and imminent collapse of Venezuela. For now, there is a slight, albeit temporary reprieve. 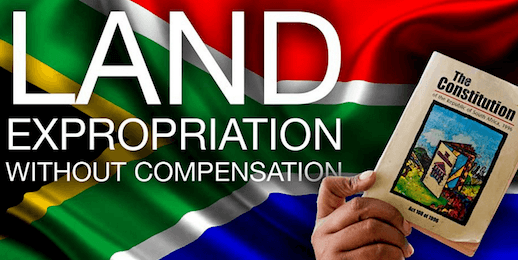 The government announced late August that it will put the constitutional changes and expropriation plans on hold. They are doing this not for any moral reasons but over legal concerns. No doubt, once they have found the legal loopholes, they intend to continue. Reactions from the rest of the world have been mixed although most other countries support the concept “provided it is done legally”. US president Donald Trump is one of the few leaders to express his concerns over land confiscation and the brutal attacks on white farmers. In a tweet, he called on his secretary of state to monitor and study these issues. Needless to say, Ramaphosa, Malema and their cohorts were not impressed. At the same time, British Prime Minister Theresa May was in South Africa supporting the process provided it was done legally. The issue of genocide or large-scale farm murders is a debatable and highly emotive issue. To date, farms have only been acquired legally and with compensation. The success of the project is also questionable and there are many stories of once prosperous and productive farms that employed many people and had a decent output now little more than subsistence farms. Clearly, there is still much to be done. This issue is a complex one and requires a local workable solution. The hope is that government find a fair way to address issues of land redistribution that does not negatively affect the farmers that have invested in the land and jobs and the economy are not adversely affected by dramatic land grams.